The Smartest Bottle Sleeve On Earth…. I love me a new “baby gadget”, I really do. The more technical the better. These things really have come a long way since my first was born. 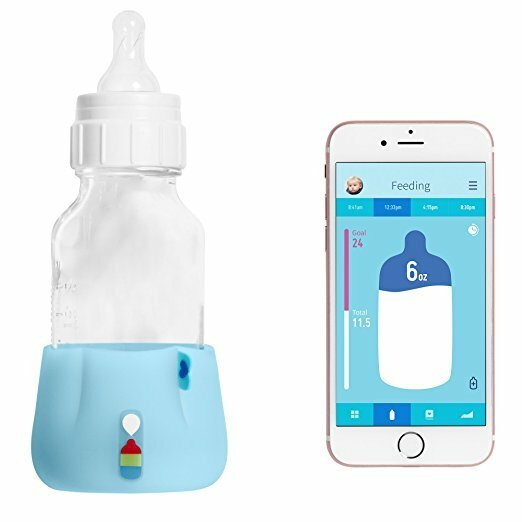 There is actually an app now that tracks the amount of formula baby is ingesting as well as the temperature of the bottle. Ladies; we can be out for a spa day and hypothetically make sure the hubby is following our “plan” LOL. So the BlueSmart mia is an amazing sleeve that fits most regular shaped bottles. The monitoring pops up on your phone in real-time, tracks feedings over days so you can see if sleep patterns improve/change and even have a great record if need be to report back to your pediatrician. How about being alerted to expiration and angles of the bottle as well! Oh; and a great way to communicate with your sitter if need be. Everyone is on the same page! I love this product; it is made well and super easy to get started with. It comes with a wireless charger so you are always ready. This will run you around $149 and is a great gift for the momma to be in your life this holiday season!